Do our children really need to learn cursive writing in today’s world? Um YES! I am a big believer in keeping things old school. Here is an interesting article outlining 5 important reasons why your children should continue to learn how to do cursive writing. Don’t worry though if your School decides to remove it from the curriculum then you can create your own writing sheets and teach your children at home. Printable and Customizable Cursive Writing Practice Sheets. Yes, I was very dismayed when I found out the schools around here stopped teaching cursive a decade ago. How are kids supposed to read historical documents, sign a check or contract? Schools are dumbing down the kids now. 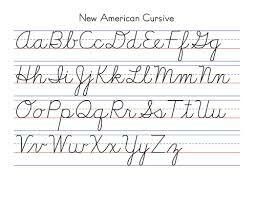 *rant* So americans are still writing cursive the same way it was written in the 18th century? Cos over here it has evolved. The cursive I learned in school in the 80’s is different from what my old aunt and grandma learned and that’s different from 19th c cursive, which is different from 18th c cursive. In fact, most in my and my parents’ generations struggle with 19th c cursive and find 18th close to impossible to decipher most of the time. My sis is into genealogy and she hates going back to the 18th c because it’s so hard to read the handwriting (not least since you have to keep in mind that we all have our personal style and that included the priests writing the documents). And she has spent several years reading old cursive. Kids can’t automatically read historical documents just because they can write in cursive (and, honestly how many adults have ever used their knowledge of it to read important documents themselves?). No, I don’t buy that argument.